Next day she opened her old mail box. Which she stopped using years back. Her first mail is from KARTHIK. 'dee plz come back me papa are missing u a lot dee.plz come back" ..she sign out the mail with tears in her eyes. She rested her head on the head rest.. Clenching her fist. Controlling herself not to go weak. It was the day karthik came back to india. He informed all about his convocation. He will be awarded with MBA degree from a well known university in London. He wants someone from his home with him. Priya doesn't even informed that karthik is coming. Kartik and sudhir plan to surprise her and Ayesha and shipra thought no need to mention at all. karthik wants priya or sudhir to be there at his convocation. shipra wants to send Ayesha. Shipra made shudir agree. "papa if ur not going to come I can take dee with me na . not Ayesha. If dee comes she will be my support.by the way dee did her MBA and working in a B school so I think it is good I have dee with me. yeah Ayesha is good for nothing other than shopping , make up, flirting and all. Aur mere paas itna finances nahi hai I can fulfill Ayesha's list of shopping. " "haan yeah bhi tik hai .. priya tumara passport do mujhe and take leave for 1 month. After karthik's convocation u go around some sightseeing." Ayesha & shipra were very angry but this time sudhir convinced her to send priya. Both priya and karthik left. Priya helped him in finances. Before the convocation karthik informed priya about Natasha. They went to paris to meet her. They met nuts , priya liked her brothers choice. Nuts want ram to meet karthik. she asked them to stay in her flat till her brother come. so that they can talk the further proceedings. Karthik went to his friends place priya and nuts are there in nuts flat. Soon they became close . all the time nuts said about her bhai' RAM. Next morning ram vikram neha arrived there. priya opened the door. Ram was mesmerised to see her, she looks utterly beautiful, in her t shirt nighty till her knees in tousled hair, just woke up from bed ,still sleepy. Ram was back in his senses when he heard neha vikram fighting. Ram asked for nuts. Priya open her eyes. He was handsome, something of him attracted priya in the first sight. Both shared an eye lock. she invited them in. it was early in the morning nuts went to gym. Vikram neha went into a room which is vacant. Ram was sitting in the living. Priya got freshn up. Did her pooja. Ram was surprised to see . He felt she is different. Priya came up with two mugs of coffee and took business magazine. Nuts came home introduced ram to priya. Priya was very happy seeing their relationship. They arranged a dinner to meet karthik . ram liked karthik.his eyes were on priya. He never saw a girl so keen, he is looking at her with an eagle's eye. They still remain awkward. Neha and vik karthik and nuts proceeded to the dance floor. Nuts and karthik shared their idea " ram priya look so good as couple" "I just hope I have priya as my bhabhi for my brother" kartik smiled. Ram ordered few drinks, they spent talking abt nuts and karthik. Soon they became comfortable A old man reached there who is totally drunk insisted ram priya to join them on dance floor. They hold each other awkwardly, danced not meeting their eyes. Priya felt shivers on rams touch, ram felt her charm , standing close to her. No girl ever made ram feel so. He felt it's just INFACTUATION. they did not realise they were comfortable in each other's arms. Kartik and nuts finally planned a date for ram and priya . They planned to go out vik neha had made their plan , now priya and ram all insisted them to go around the beautiful city. Finally ram and priya were forcibly convinced to go to sightseeing. The next morning ram banged nuts room nuts went and opened the door. Ram asked if he can use the washroom, nuts went back to sleep. Ram saw a priya liying beside nuts . he came out he saw priya sleeping peacefully with a slight smile on her lips. His sight freezed on her lips. He smiled thinks she looks so beautiful with no makeup , sleeping, her hair was covering her face. He went close to her bending tugged her hair behind her ear not disturbing her.. he took a snap in his mobile. Her hair again fall on her face he was about to tug her hair behind her ear. She opened her eyes smiling it was ram face close to her. She was awake felt strange , " what'..! " priya asked . he cannot say a word even finally managed to speak " wash room" . "oh.." .. ram went out. Priya came out and went to kitchen with two cups of coffee was reading paper.. ram staring at her. Ram initiated the speech and asked priya if they can be friends as they have to go alone all the day . it would avoid awkwardness. Everyone are ready with their plans.. ram arranged a car for them , they all left on their plans. They went to shopping. Priya was looking for some trendy clothes for Ayesha. Ram asked if she wear all this, she said no and it's for her sister. Ram took out a dress n gave to priya once try this am sure u look good in this. she wore it on ram's insist , ram was mesmerised '" awesome,u look hot n S***" she blushed. Awkwardness came in between again. she liked his comment but dint show any excitement. Ram bought the top for her without her knowledge. They went to all possible places to see. Was very tired came back to rest in the evening. He got a message that the 4 will come having dinner and come home. It was a plan . ram informed priya, she said she will cook but ram had some other idea. He asked her to get ready they will have dinner in the Eiffel tower. Both went in night to the restaurant in the Eiffel tower . paris was so beautiful in night . ram saw priya getting panic. She fear heights. He hold he by her shoulder assured her " don't worry am hear with u priya look at the spectacular paris. " she forgot her fear and was relaxed in his arms.
" am damn hungry" priya smiled . "what do u wanna have priya .. will try French food"
" uff ghas phoos" priya gave a serious look "oops sorry." "Now I knw the secret to ur fitness u eat ghasphoos" he laughed out loud..
" oh .. now I knw ram the secret behind ur fat's"
" hellooo i gym a lot.see am hot and fit" " mr. ram just a correction, its true if any girl calls u hot and fit" laugh out loud "
" very funny" food arrived .. ram was excited like a kid.
" I pity ur wife'"
" bechaari ur a foodie , she has to cook for 10 when ur one at dine"
" very funny .. I pity ur husband.. he will die eating ghas phoos" their teasing started. The one day made them close friends. Both felt comfortable with each other. Priya karthik ,ram and nuts left to London for his convocation. They spent lots of time together. As nuts and karthik moves together ram and priya are left alone. Interestingly both liked each other's company. They dint notice they are moving so close . they feel they are close friends two are of similar kind. they never talked about themselves . they had a brief introduction to each other by their sibling but they dint notice . Neither priya nor ram doesn't know Anything of each other , what do they do and all. Finally the see off. They felt stabbing inside their hearts to leave each other. Ram priya had a same flight . in the flight she felt sleepy and slept on his shoulder.Ram liked her closeness , for the first time he wished to have priya in his life he dint say it is love. Priya heard a weird noise and woke up it was him snoring, her lips curled to smile to look at him he is innocent like a baby with open mouth, she closed his mouth with her finger. He adjusted himself close to her, lied his head on her shoulder, she feels jitters to his hot breath against her. He was in deep sleep. She feel " ram I never was like this with anyone I was with u." 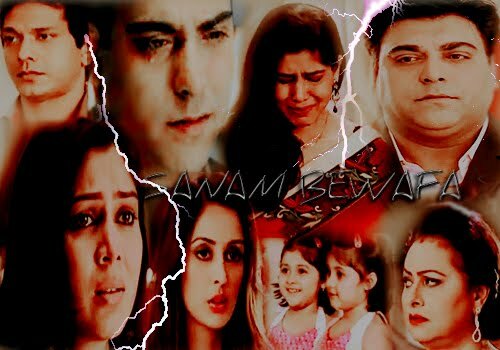 they reached the airport both of them wanted to know each other's contact , soon they pick their luggage and came out, ram had an urgent call and he went aside priya waited for him by the time he return shudir came to meet priya and priya left. They departed looking at each other. Those few days was most memorable in their life. Ram woke up from the table with a empty bottle and a glass and priya's pic infront. " ram.. RAM"
It was vikram. Ram got up and was soon ready with his routine .. he has to start to dubai.
" MUmma, mumma ' why are u sad mumma " she climbed to priya went to her lap hugged her. Priya took her angel in her hands ..she got comfort hugging riya. " mumma aap udas ho .. [kissed her cheeks] sab kuch tik hojayega" '. Priya back to her world.. Kissed her little miracle and got ready for their routine. Cady came to priya . priya feed cady and riya . they left to their respective institutes. Cady took riya to school. Priya went to her college. Soon reached she got a call from the dean of the college. She was informed to arrange a seminar for final year students. The guest coming is the dean's distant relative. Very successful businessman from india.
" uff.. ! rajath please cut it off na ill arrange the seminar. Why are u introducing him to me. I will do it"
" I knw u will but please make sure of everything I don't want any disturbances. Haan I have to pick my friend. Dayi jan ki check up"
" I will go ..look after her." "haan aur yek baath . cady has a test tomorrow if she come home she will spend time with her uncle so she will stay with u tonight "
" uhhh ' ! rajath please stop it na I will take care of everything.. and some one said the other day what are friends for ?" They shared a smile .. And continued work.